Estates Personal Care & Assisted Living. see what personal care can be. Sunnyslope Estates is a unique alternative to living at home. Located in a peaceful Northglenn neighborhood, this private residence offers a home environment with the safety and peace of mind that a 24 hour care center can offer.Private rooms, ample common area for activities and guests and a homey kitchen make Sunnyslope a place of comfort without the intimidation of a large commercial facility. Sunnyslope Estates provides assisted living and personal care services across Weld County, Boulder County, Adams County, Jefferson County, Denver County, Douglas County, Arapahoe County, Broomfield County, Thornton, Northglenn, Longmont, Erie, Broomfield, Denver, Westminster, Boulder, Firestone, Arvada, Aurora and Lakewood. 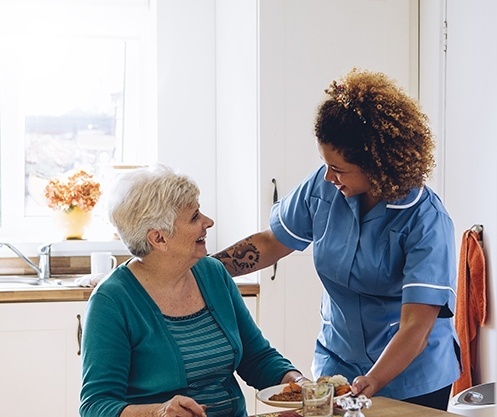 Home Health Care for people across Weld County, Boulder County, Adams County, Jefferson County, Denver County, Douglas County, Arapahoe County, Broomfield County, Thornton, Northglenn, Longmont, Erie, Broomfield, Denver, Westminster, Boulder, Firestone, Arvada, Aurora and Lakewood. Upload your information and get the admission process started. For assisted living jobs, contact Sunnyslope Estates, privately owned assisted living home.